Is there any paperwork or document for the mechanical systems of 11 Harwood Ave S, Ajax, Ontario? I need more information about the property at 11 Harwood Ave S, Ajax, Ontario. How ist the neighborhood, location and nearby amenities for 11 Harwood Ave S, Ajax, Ontario? I have questions about the roof, foundation, insulations and mechanical issues of 11 Harwood Ave S, Ajax, Ontario? I need more information about property details. What's wrong with this house? Is this a short sale? Is there any maintenance for 11 Harwood Ave S, Ajax, Ontario? What is this property worth in today's market? What are "closing costs", and how much? What steps should I take when looking for a home loan? What price home can I afford? Is my credit good enough to buy this house? What are the best mortgage options for me? How flexible is the seller on the asking price? How low can I consider offering for 11 Harwood Ave S, Ajax, Ontario? 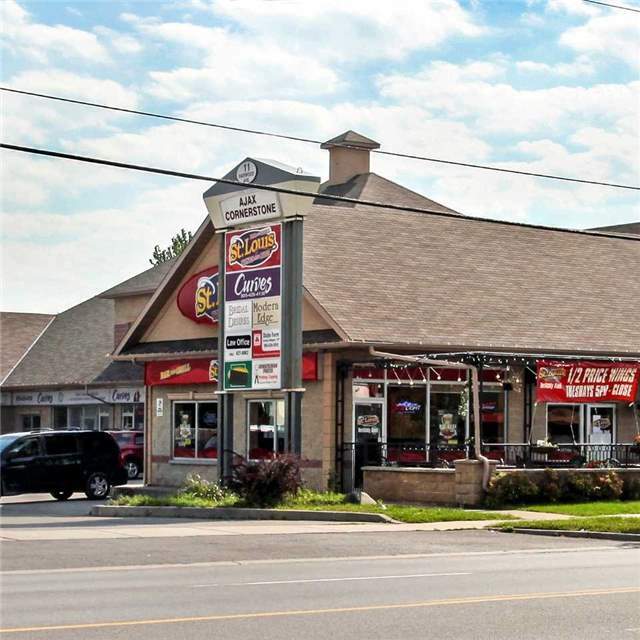 Excellent Ground Floor Retail Space Located In The Heart Of Ajax. Very Close Proximity To Highway 401. Amenities On Site And Many More Within Walking Distance. Pylon Signage Available. Zoning Permits Many Uses. Different Size Ranges Available - Ask Listing Agent For Details.